Watch the trailer for the brand new My Little Pony Movie! The movie is out October 20th! Here’s everything we know about the movie and you can even see the trailer for yourself, below! Equestria is in danger when the evil Storm King invades Canterlot with plans to steal magic! Armed with determination, loyalty, and the magic of friendship, the ponies face their biggest challenge yet. Along the way they learn that heroes come in all shapes and sizes and that there really is no force stronger than the Magic of Friendship! 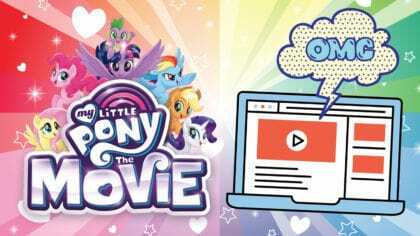 My Little Pony: The Movie is in cinemas nationwide on October 20th! 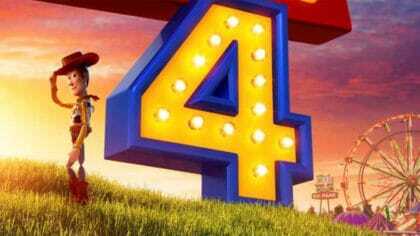 The film has a really famous voice cast including Emily Blunt and original songs by Sia! I’m so hype for this movie as I’m a HUGE fan of MLP and I’ve heard the Sia song included in it, a song that Rainbow Dash does and that line: “Brian! No!” LOL! Anyway, so excited for the movie! Looks amazing – Love My Little Pony! !